Thinking about making your next big car or truck purchase? Before purchasing your new to you vehicle, don't forget the important step of getting your vehicle professionally inspected by A.S.E. certified technicians at Bob’s Service Center. An automobile is typically the second largest purchase made by consumers. Think about this, if you purchase a home, you always get a home inspection to verify your home is safe and structurally sound so you can have peace of mind. Why would you not treat your second biggest purchase the same way? 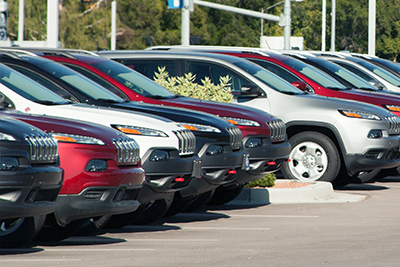 Let us help make sure you are purchasing a quality used vehicle. We offer a thorough pre-buyer inspection that can help you in your buying decision. Our pre-buyer inspection is intrusive. We will check all of your fluid conditions; let you know if there are any gaskets and/or seals leaking, your brake lining thickness, tire tread depth, among other things. Curious if the check engine light has been reset recently to hide a problem? We check that too! Bob's Service Center will check your vehicle bumper to bumper and give you an estimate on what it will take to bring your “new to you vehicle” back into a safe reliable mode of transportation that is dependable. Often times, this estimate can be used as a bargaining tool to help reduce the cost of your vehicle. This inspection can pay for itself! When you think about your next car purchase, think about Bob's Service Center and how we can help you make a sound purchase. 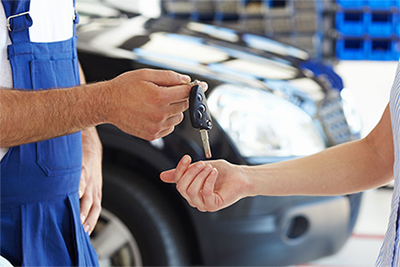 Our technicians are knowledgeable and can answer any questions you may have about purchase! Ask about how to earn some or all of your pre-buyers inspection back when follow up repairs or servicing are done!